Daily Brands is a clean & simple Clothing's Store PSD template that fully includes all WooComerce required pages in one modest and quality package. 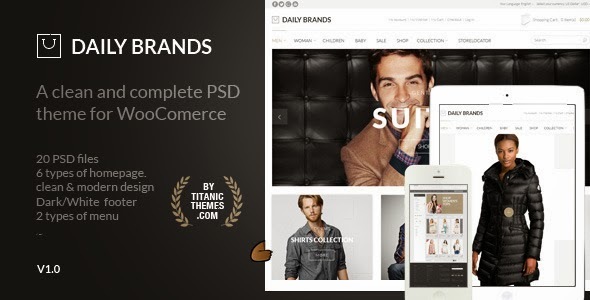 Item Reviewed: Daily Brands Store eCommerce PSD Template 9 out of 10 based on 10 ratings. 9 user reviews.